Genuine wooden flooring is a very romantic thought, but these days the real thing seems to be reserved for the upper echelons. If it is in your price bracket or budget, congratulations, after installing real wood flooring you will never look back. Absolutely nothing compares to a genuine wood floor. 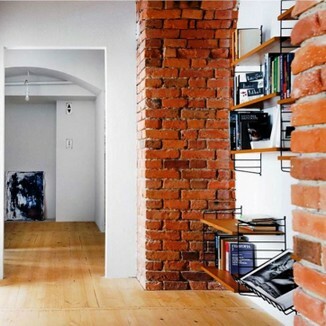 However, for the rest of us there are some stunning laminate flooring replica’s which these days can duplicate the real thing almost undetected. From cherry to bamboo and everything in between, you will have no difficulty in selecting a laminated flooring theme to suit your environment. 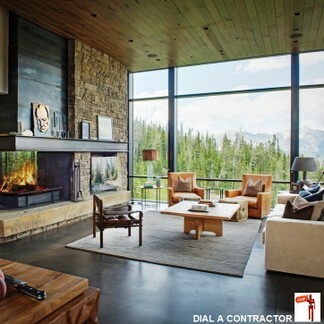 Regardless of the real thing or spot on imitations Dial A Contractor's service providers are selected for their individual expertise, and upon your request, we will be sending the right contractor for your requirements. Whichever your pleasure, wood floors or laminate floors, don’t cut corners with a fly by night installer, you will regret it every time you look at the finer details. Laminated floor comes with profiles that are designed to cater for every nook and cranny, so the installation contractors can really go to town with attention to detail. Thinking of using laminate flooring? For the modern homeowner and active families, laminated flooring is fastly becoming the number one choice of floor coverings. With its great characteristics for not harboring dust, laminated floors are also the choice for many people with allergies, such as asthma, etc. Due to its European success, laminated floors are the fastest growing choice for flooring in South Africa. 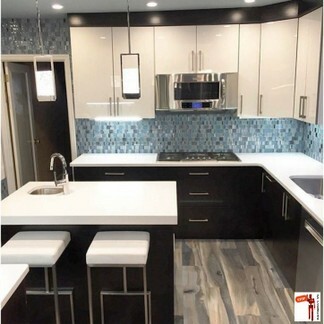 Its low cost, durability, visual looks, and ease of cleaning, make it a great solution for those consumers wanting the looks of a cozy, hygienic and modern home. They can be used in domestic living areas such as bedrooms, conservatories and hallways. Laminated flooring panels are also recommended for most commercial situations including offices, boardrooms, corridors and store rooms. Laminated floors have a wear-resistant decorative surface made of resin-based melamine. This material is bonded to a moisture-resistant wood-based core. A balancing backing is bonded to the underside of the core. Since the resin-filled wear layer is so dense, it becomes extremely difficult to stain, scratch, or burn with a cigarette. 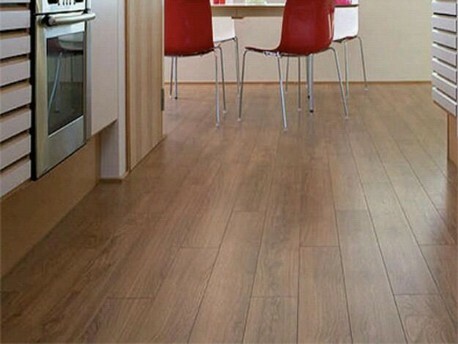 The laminate flooring planks range from 6mm to 17mm in thickness. Is the entire laminated flooring plank constructed from the highest quality moisture resistant HDF “high density fiberboard” with a resin based decorative film? Is the laminated flooring a 4th generation ‘Click’ system, i.e. the flooring planks are inserted at 30Â° to one another. A standard foam underlay or at an additional cost we can also offer a Rubber underlay, which reduces noise when walking on the floor. Does the laminated flooring come with a written 15 year surface wear warranty. Backed by the manufacturer. 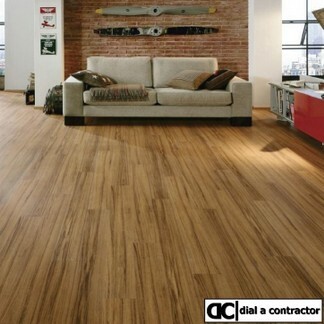 Is the laminated flooring installation backed by at least a 1 Year warrantee. HOW DO I KEEP MY LAMINATE FLOORS CLEAN? The after care that laminate flooring requires is very little and is extremely simple. Cleaning laminate flooring, if carried out regularly, can keep your floor looking like new for many years to come. A simple brush over with a soft headed brush or a very slightly damp mop, is all that is needed when cleaning laminate flooring. Follow this with the use of a vacuum cleaner around the edges of the room, and that is all that is generally required. WHAT IS THE DIFFERENCE BETWEEN LAMINATE & HARDWOOD FLOORING? Both laminated floors and hardwood floors can beautify a home. While hardwood is often thought to be a superior choice, there are several advantages to laminate flooring. Distinct differences between the two types of flooring often make laminate a more attractive alternative. 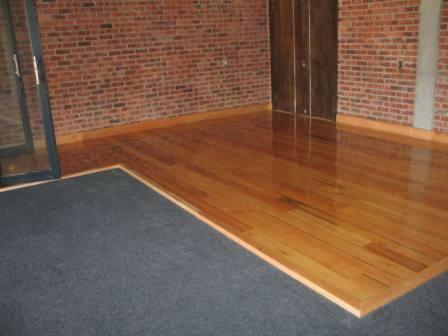 Solid hardwood of any thickness (most is 3/8″ to 3/4″) should be installed only above grade. Laminate flooring can be installed above or below grade, and over virtually any other flooring surface. Some hardwood flooring is engineered, meaning that instead of solid hardwood, it is made of several wood layers with a hardwood veneer. Laminate flooring, usually 7mm to 8mm (5/16″ to 3/8″), is also made of several layers. These are laminated together which makes for stability and strength. The top surface of laminate flooring is a photograph of hardwood. High quality photographs faithfully reproduce the grain and colour of natural hardwood, and the surfaces on quality laminate flooring closely resemble real wood. Although many people insist on hardwood flooring, laminates are a long-lasting, durable, affordable option that are quickly becoming one of the most popular types of flooring. South Africas number 1 designer and installer of laminated flooring. Installer of laminated flooring in Gauteng. Installer of laminated flooring in Durban. Installer of laminated flooring in Cape Town. Leading designer and installer of laminated flooring. Skilled people have years of experience in designing and installing laminated flooring. Well established company that endeavours to fulfill all the requirements of an accomplished designer and installer of laminated flooring. Prides itself on the successful design and installion of laminated flooring solutions in Gauteng, Durban and Cape Town. High standard of quality and the most economically priced laminated flooring in Gauteng, Durban and Cape Town. Designer and installer of laminated flooring in Gauteng, Durban and Cape Town. Premier residential and small-scale commercial laminated flooring installers in Gauteng, Durban and Cape Town.